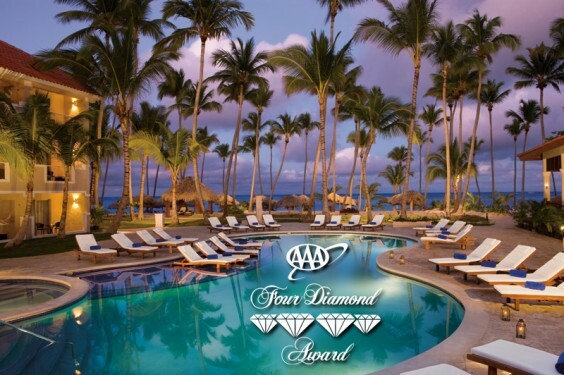 Dreams Palm Beach Earns its First AAA Four Diamond Rating! Congratulations to Dreams Palm Beach Punta Cana for recently earning their first Four Diamond rating with AAA! We’re certain that visitors to Dreams Palm Beach will be able to instantly see why they have been included in this distinction. Guests are sure to have a wonderful and fulfilling vacation experience! This entry was posted in Dreams Palm Beach and tagged AAA, AAA Diamond Rating, award, classification, distinction, Dominican Republic, Four Diamond Award, hotel rating, quality, standards. Bookmark the permalink.